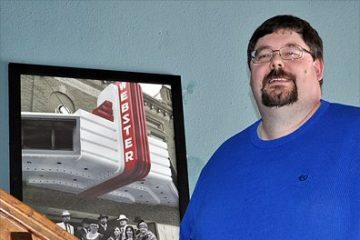 “It just has a great message about being kind to people, friendship, family and just caring about people and their feelings,” said Tyler Abens, HERO Board member. “I saw the previews and then I read the book and thought every kids needs to see it,” said Juli Jaycox, Webster City school board member. 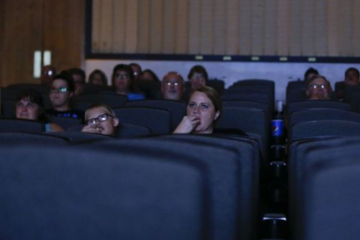 The theater opened up outside of normal business hours throughout this past week so that students would be able to view the film during school hours. Students viewed the film after lunch and were back at their respective schools before the end of the school day. Jaycox even had the opportunity to attend a showing of ‘Wonder’ with WCMS eighth graders on Friday. Sponsors include: First State Bank, Van Diest Supply, Jaycox Construction, McMurray Hatchery, Don McKee Consulting, Yesway and Ameriprise Financial. Individuals who also helped support the project include: Al and Roxanne Anderson, Bob and Elaine Keane, Marty and Kim Schimp, and Bruce and Dawn Mark. 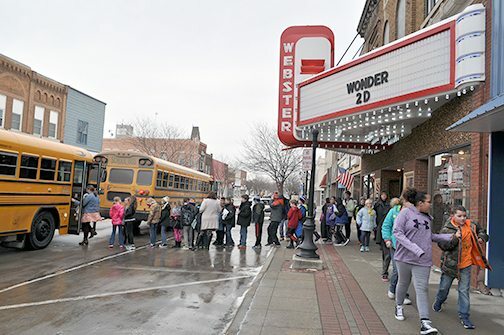 The amount of movie-goers to ‘Wonder’ will most likely set a new record for the Webster Theater for attendance, according to Abens. ‘Wonder’ will be showing at the Webster Theater on Wednesday at 7 p.m. and Thursday at 1 p.m. and 7 p.m. Standard ticket prices (Adult $4, Child $3) apply. Click here to see this story as it originally appeared in the Daily Freeman Journal. Copyright © The Webster Theater. All Rights Reserved.